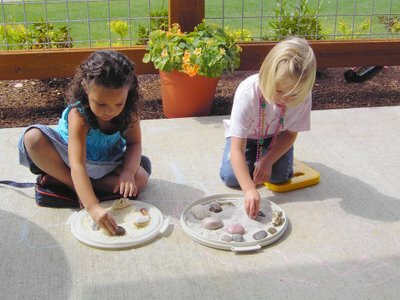 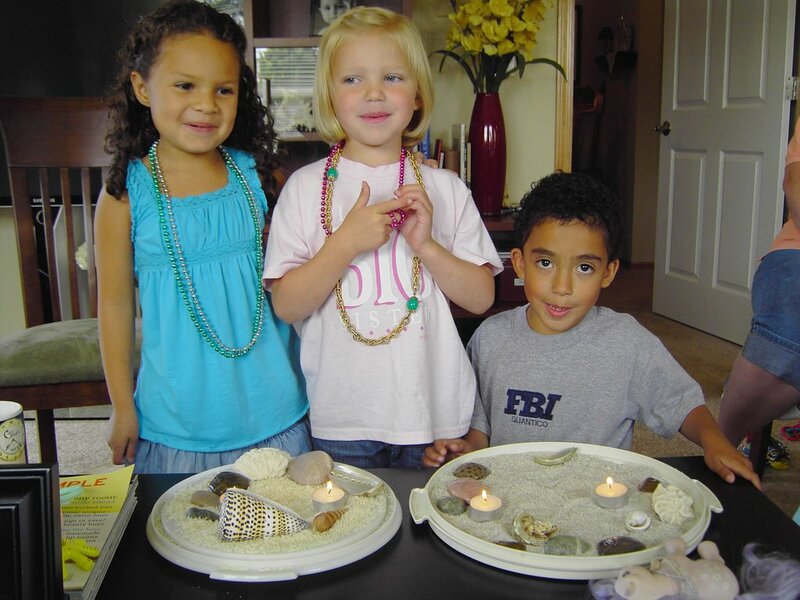 Cousins, Isabel M. & Laine D. J., played with shells and stones in their pretend beaches of rice or sand. 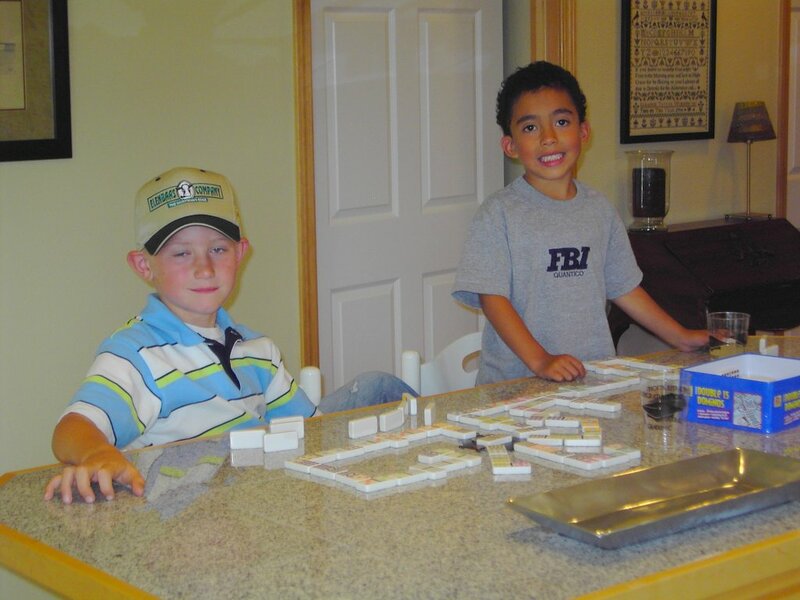 Cousins, George D. J. & Nick M. put the dominoes to work after a session of clay sculpting. The girls brought their "beaches" inside and decided they looked like decorated cakes, so we had to add candles and blow them out...in honor of 4-day-old, Addison D. J., the guest of honor. We wrapped up the morning by going on a Bear Hunt.